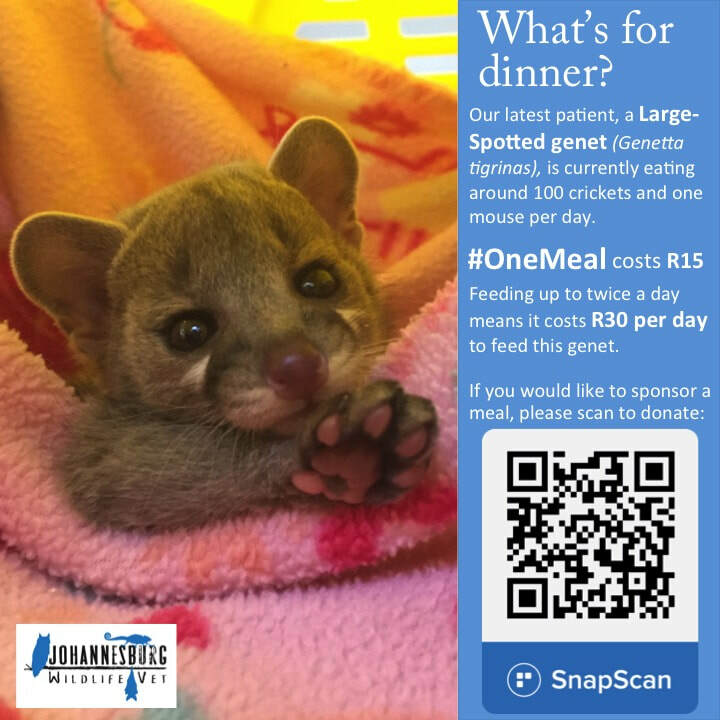 It takes hard work to rehabilitate our precious wildlife, including our vet, rehabilitation specialists and YOU! 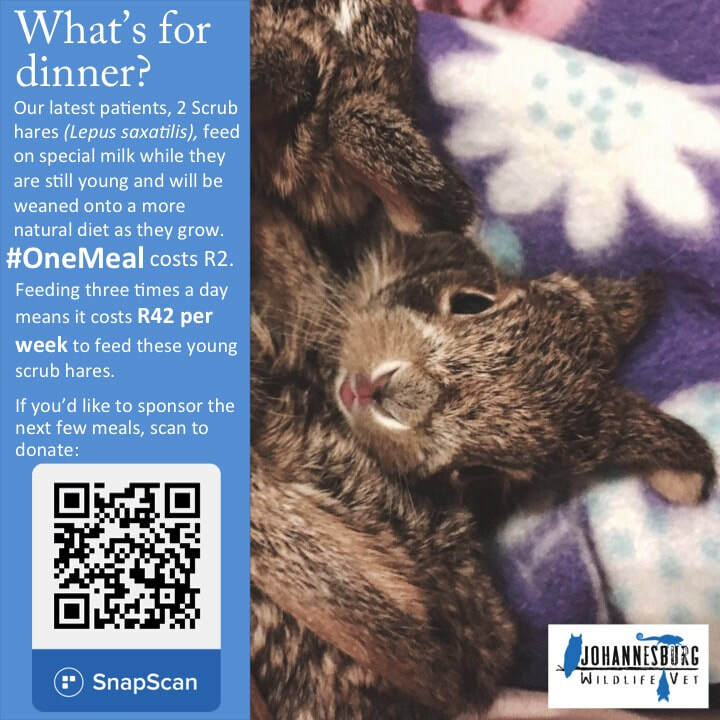 Ever wondered what it costs to rehabilitate one specific animal? 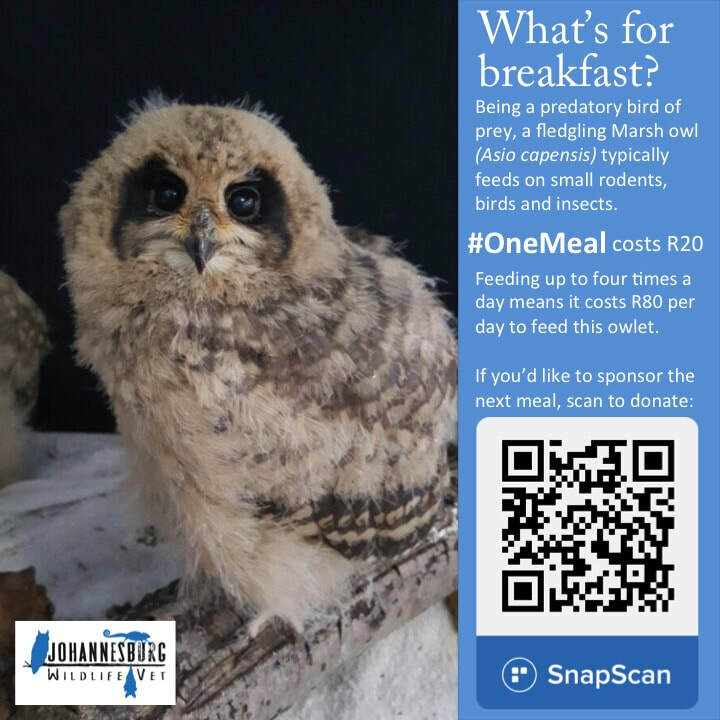 #OneMeal is an initiative that enables us to share the cost of one meal for a specific species at a specific age and stage of development. 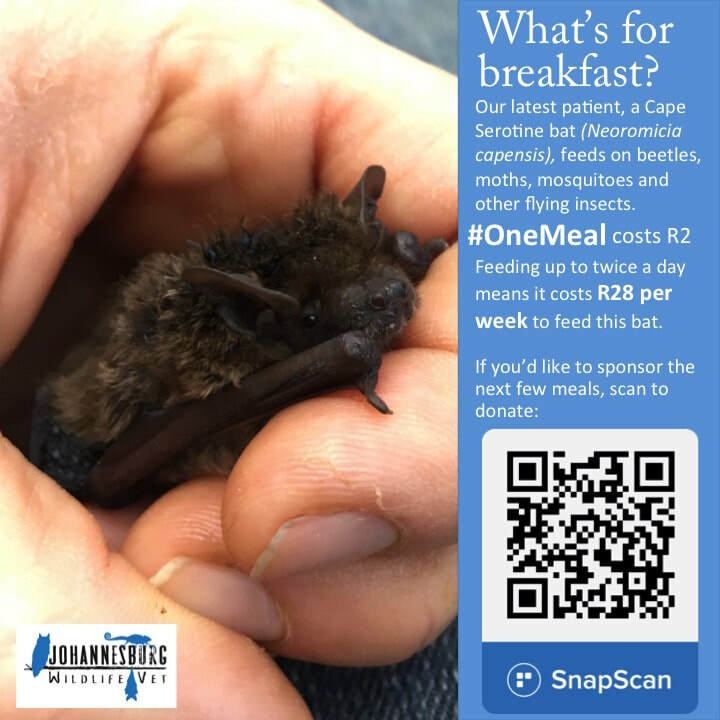 While there are many costs involved in rehabilitation (such as medication, specialist vets, permits, telemetry, transport, and other costs associated with release), your contribution toward food would assist us greatly. 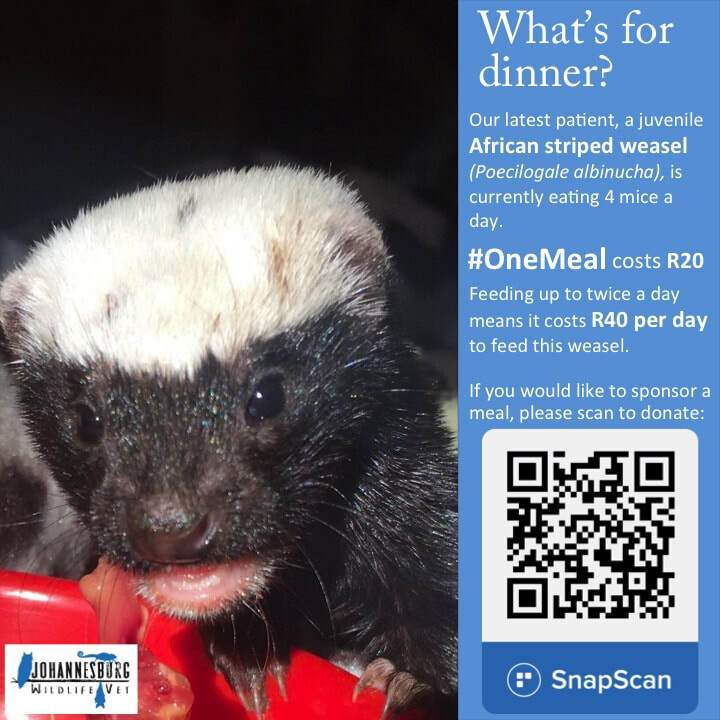 We'd LOVE it if you would consider donating toward our #OneMeal initiative via SnapScan, or your donation channel of choice. 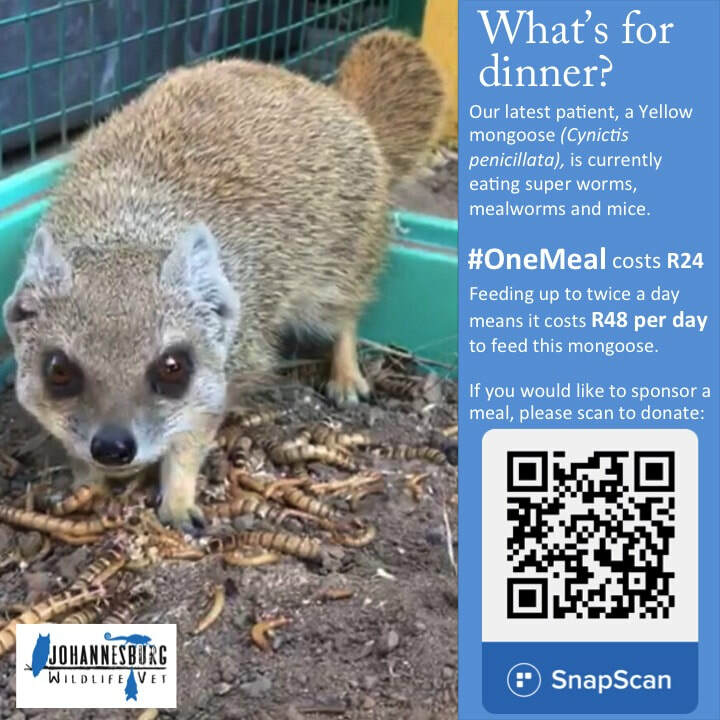 While some of the specific animals pictured below may have been successfully rehabilitated and released, we regularly have similar patients in our care that would greatly benefit from your donation.